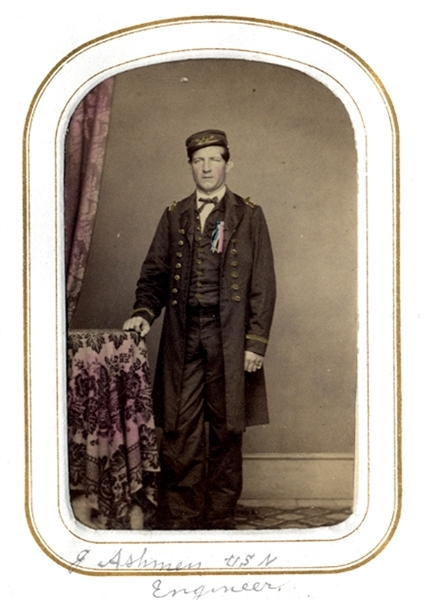 Carte de visite of “J. Ashmen USN Engineer.” in full standing pose in uniform. Fine condition.